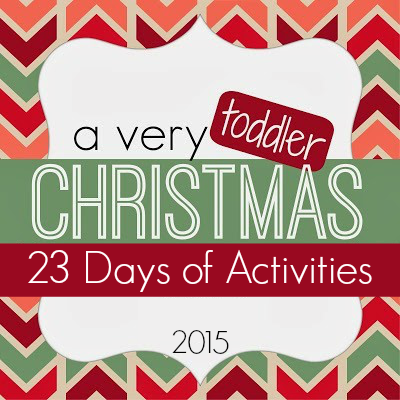 This weekend was fun-filled and chock full of busy activities so I am still catching up on posting Day 13 of our A Very Toddler Christmas series. We made lid ornaments! 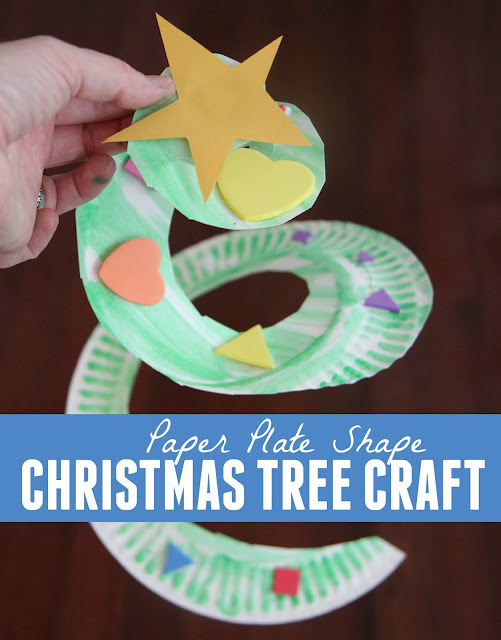 For Day 14 of our A Very Toddler Christmas series we are making Paper Plate Shape Christmas trees! 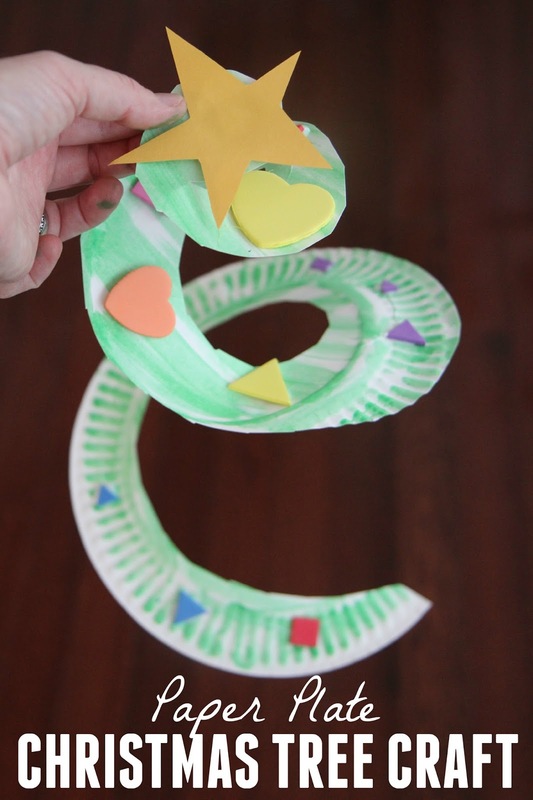 These are really similar to our paper plate snakes we've made before and the kids loved them! Start by painting your paper plate green. We used green do-a-dot markers. Then cut your paper plate into a snake shape or a spiral. Once your paper plate is cut, start adding your foam shape stickers. If you can't find foam sticker shapes then just use glue and foam shapes. Lastly, add a yellow star at the very center of your tree! Let your shape Christmas tree dry and then hold it up by the center so that the other green pieces hang down just like a spiral Christmas tree! We had fun talking about different shapes and colors while we made this craft! You can find a fun Christmas tree treat to make along with this craft HERE.